... services including quality construction and residential remodeling of pole barns, garages, decks, additions, roofing, siding, and gutters. James Visser is licensed and insured. Call him for an estimate at 616-893-6215 or use our Email Contact Form. Let us remodel your present garage or build a new one! Give your deck a facelift or add a new one! 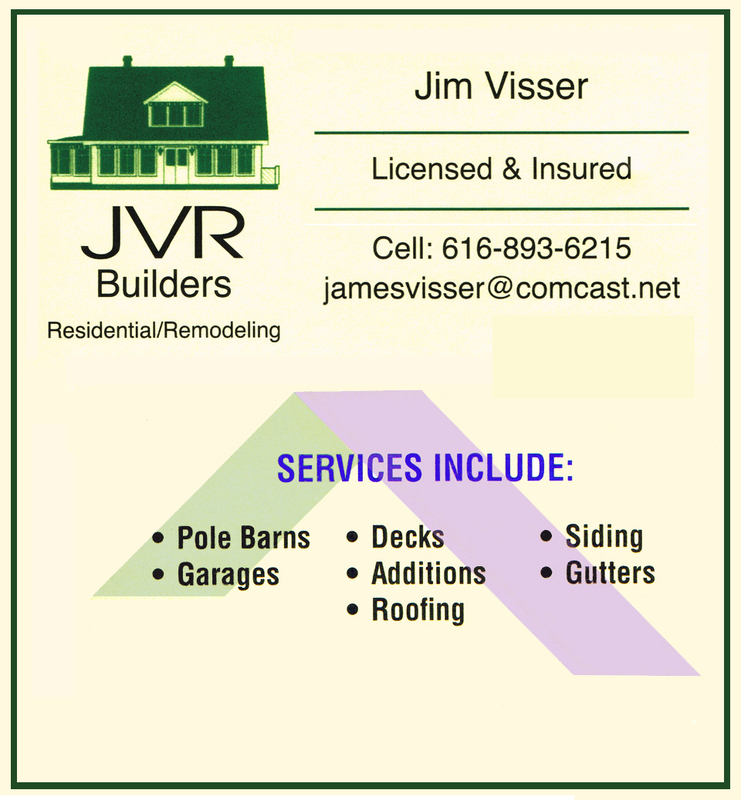 Contact Jim Visser for free quote on your next project!